A suspect with ties to a black separatist hate group has been arrested in Indiana on attempted murder and other charges related to shooting a transgender woman in the face last weekend. 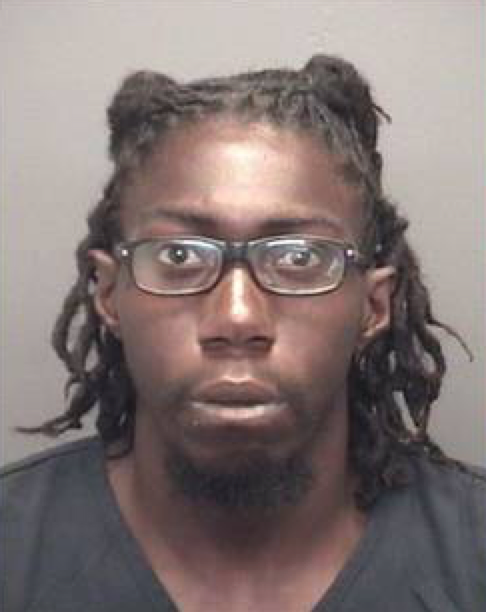 Gerald Duane Lewis, 26, who claims membership in Israel United in Christ, was arrested by police in Evansville, Ind., on Monday, a day after Crystal Raquel Cash was shot, according to various media reports. A 9mm handgun believed used in the shooting was found in the suspect’s possession when he was arrested, court documents disclose. The shooting occurred in a building on North First Avenue in Evansville where the victim operates a massage parlor and advertises “adult services” on Backpage.com, the Evansville Courier & Press reported. On his Facebook page, the suspect claimed affiliation with Israel United in Christ (IUIC), a black separatist group that is one of 180 such hate groups currently identified by the Southern Poverty Law Center. Black Hebrew Israelites, a sub-sect within the black separatist movement, believe that African Americans are the real Jews, the Biblical chosen people of God. They oppose integration and interracial marriage and are virulently anti-Semitic, anti-white and anti-LGBT – frequently expressing those views in public locations. Lewis was booked into jail on charges of attempted murder, robbery and carrying a handgun without a permit. He has not been charged with a hate crime. Vanderburgh County Court Senior Judge Carl Heldt set the suspect’s bond at $5 million, the Evansville newspaper reported. The 55-year-old shooting victim, who provided a partial name and a detailed description of the assailant, identified him as an “Israeli Christian” wearing a gold-trimmed shirt. The victim told police the gunman used a homophobic slur during the assault. The shooting victim was hospitalized and is expected to recover, but her current medical condition has not been released by hospital officials, according to media reports. 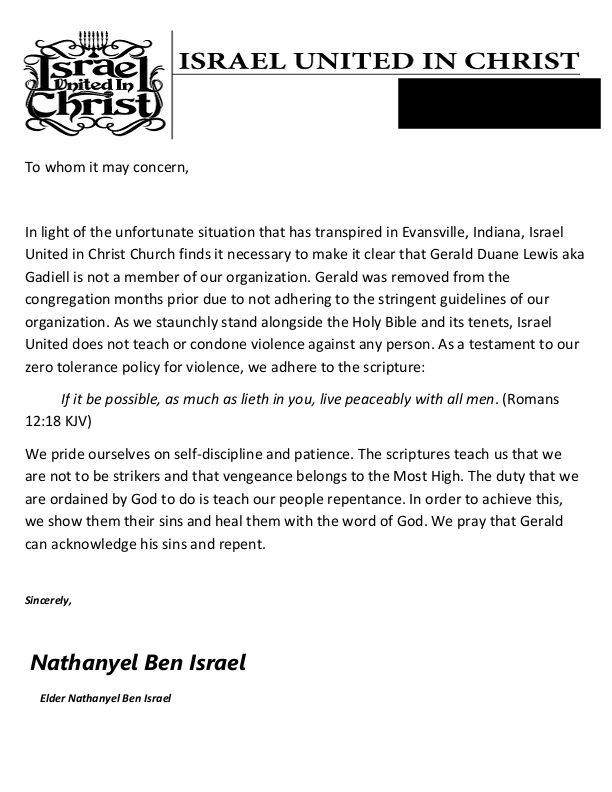 The Evansville newspaper reported that on the suspect's Facebook page, where he uses the name Gadiell Ben Israel, he claims he works at Israel United in Christ. A woman who appeared at an initial court hearing and identified herself as Daisy Norman claimed she was the suspect’s wife. “Israel United in Christ Church finds it necessary to make it clear that Gerald Duane Lewis aka Gadiell is not [currently] a member of our organization,” the statement said. It said Lewis “was removed from the congregation months prior due to not adhering to the stringent guidelines of our organization” without providing specifics. “As we staunchly stand alongside the Holy Bible and its tenets, Israel United does not teach or condone violence against any person,” the statement said.